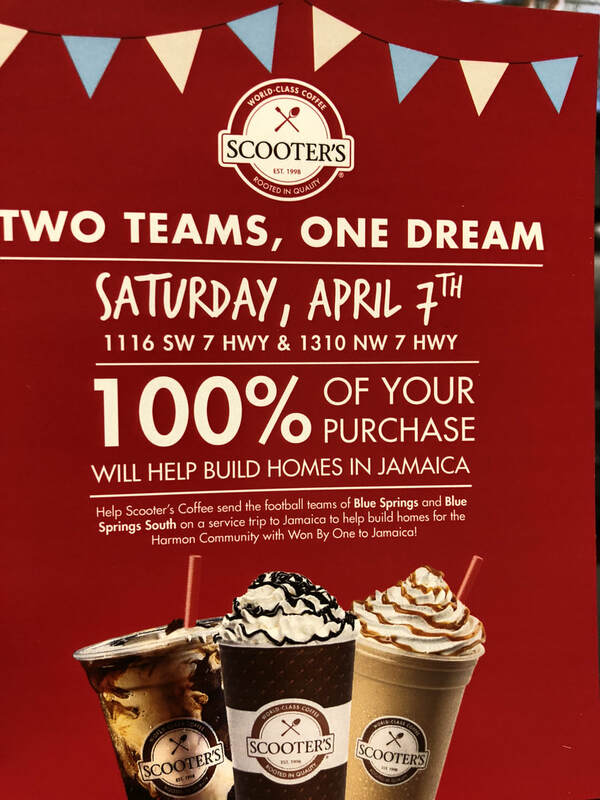 Football players from Blue Springs and Blue Springs South High Schools join to build houses in Jamaica. For the past several years, competitors on the football field have joined together to travel to Jamaica to build houses for villagers in need. 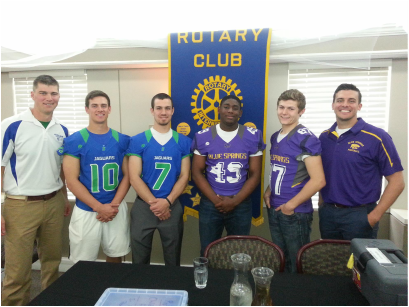 This is a program started by Rotarian Joey Butler (deceased) and implemented by BSHS coach Matt Marble. This year, there will be approximately 55 young men headed to Jamaica to change the lives of someone they don't know.....yet. 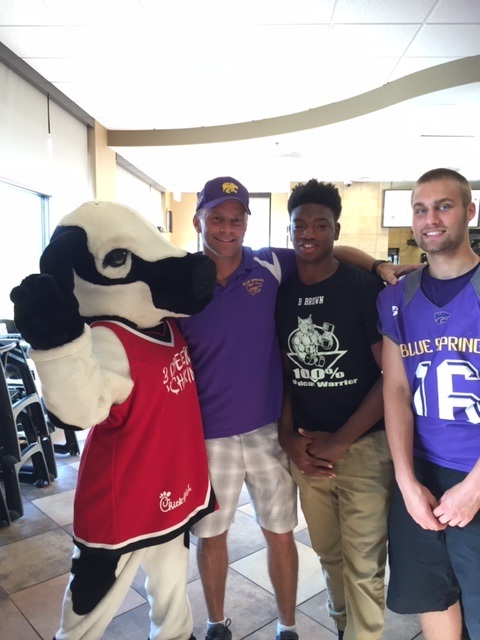 These exceptional young men are learning that helping others will enhance their own lives as well. 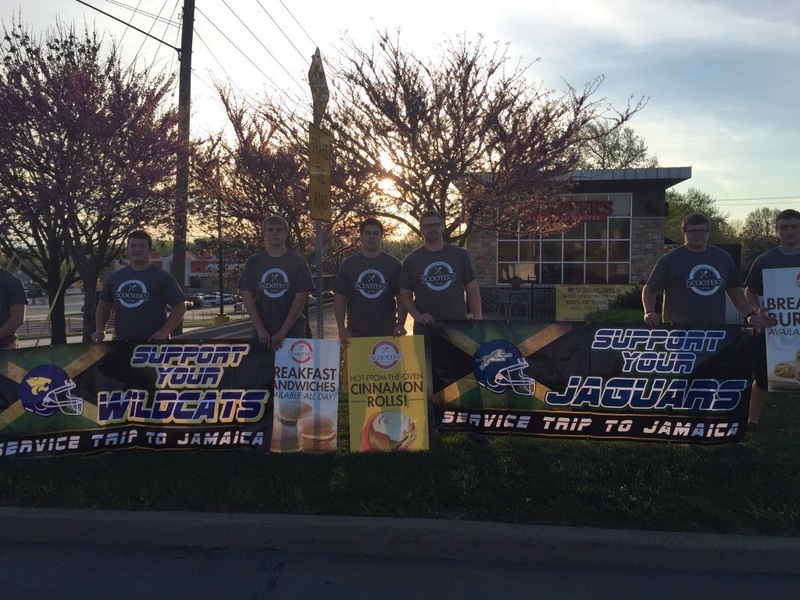 Under the direction of BSHS coach Matt Marble and BSSHS coach Dan Sundberg, these young men work to earn money to pay their own way to Jamaica. Another one of life's valuable lessons that these volunteers are learning. The service heart is indeed in today's youth. Pictured L to R: Coach Dan Sundberg (BSSHS), Jake Lamb (BSSHS), Noah Nigro (BSSHS), Brendon Buford (BSSH), Kori Cheatham (BSSH), Coach Matt Marble (BSHS). 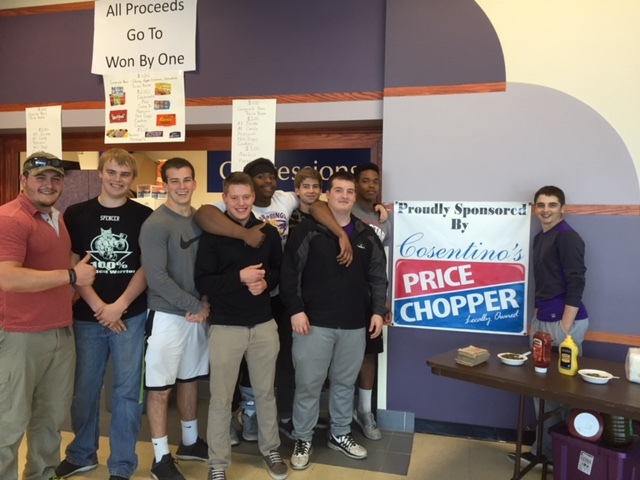 If you would like to help these young men with their expenses, please contact coach Marble (mmarble@bssd.net) or coach Sundberg (dsundberg@bssd.net). 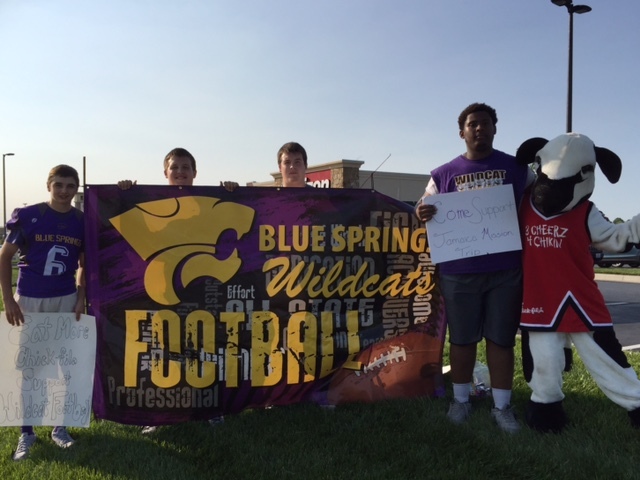 Football Players from both Blue Springs and Blue Springs South High School work together at the local Starbucks to raise support for their service trip to Jamaica this Summer.